ISLAY BLENDED MALT SCOTCH WHISKY, 48% vol. 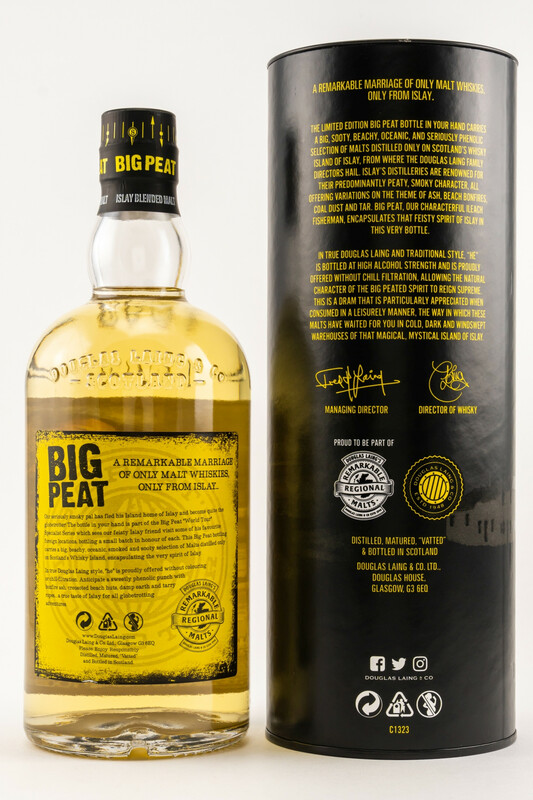 Douglas Laing veröffentlicht zum Vatertag eine neue Sonderedition des beliebten Big Peat Blends. Wie gewohnt rauchig und mit Single Malts der Brennereien Ardbeg, Caol Ila sowie Bowmore und Port Ellen. Geschmack: Typisch Islay mit Torfrauch, dazu süße Siruparomen. Douglas Laing releases a new special edition of the popular Big Peat Blend on Father's Day. As usual smoky and with single malts of the distilleries Ardbeg, Caol Ila as well as Bowmore and Port Ellen. Aroma: Smoky with notes of smoked meat and dried seaweed. 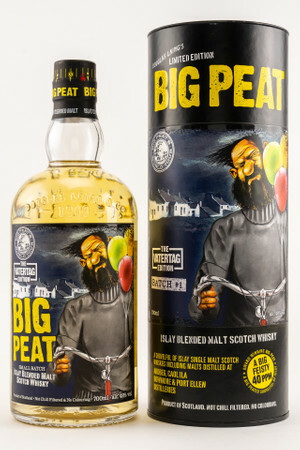 Taste: Typical Islay with peat smoke, with sweet syrup flavors.